The Alfa Romeo Spider 1600 the "Duetto". 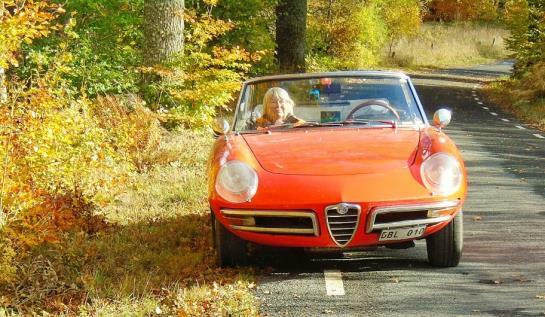 To read and learn more about this iconic Alfa Romeo, here is where to go. 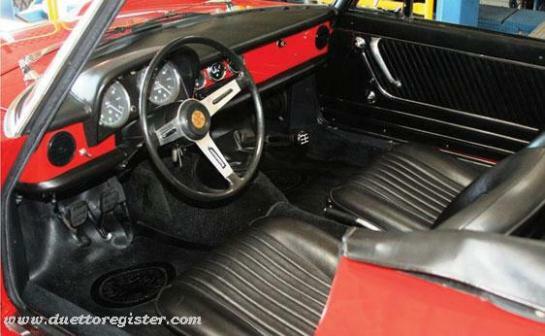 The original 1600-engined round-tail Spider was launched with no name and so everyone referred to it, logically enough, as the Alfa Romeo Spider 1600. This persisted even after the results of the competition came down in favour of the name Duetto. Despite the fact that many people still refer to this earliest member of the Spider family as the Spider 1600, its official title for most of its life was always Duetto - so that's how I will refer to it. The Duetto was publicly launched at the Geneva Motor Show on 10th March 1966 as a replacement for the 101 series Giulia Spider. Only a single model was ever offered, with very few optional extras and minimal changes during its production cycle. As the time for refreshing the model approached, it was intended to replace the 1600-engined Duetto at one stroke with a two-model range - the 1300 Junior and the 1750 Spider Veloce. In the event, the 1750 Veloce model was ready for launch in January 1968, while the 1300 took until June 1968 to arrive. Therefore, although production of the 1600-engined Duetto effectively came to a close at the end of 1967, it continued to be offered alongside the 1750 Spider Veloce for a time as the 'entry-level' Spider. Its price was reduced by 50,000 lire, since the new 1750 would be launched at exactly the same price, as the Duetto had been - 2,195,000 lire. At least one 1600-engined Duetto was produced after 1967: depending on the source, the last one was made either in 1969 or in 1970.